A former coalmine considered to be the jewel in the crown of Belgium’s industrial heritage, a building dedicated to design and the applied arts, a museum of contemporary art... All on one site! 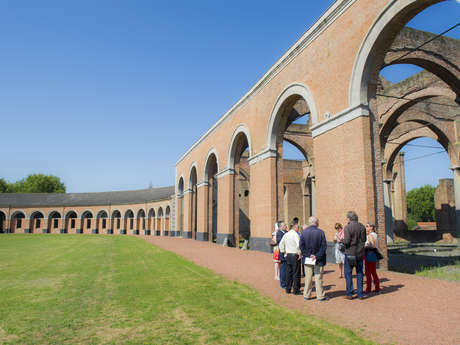 Just a few kilometres from Mons, the Grand-Hornu invites you on a journey of discovery. Visitors will not leave the Grand-Hornu untouched. Step through the railings and the 10,000m2 site is revealed. The buildings of the former mine are impressive due to their size and their coherence. A monumental Neoclassical complex built in the 19th century, the Grand-Hornu houses one of the oldest workers’ communities in the world. A UNESCO World Heritage Site, it introduces visitors to its founding father, Henri De Gorge, a captain of industry and a real visionary. 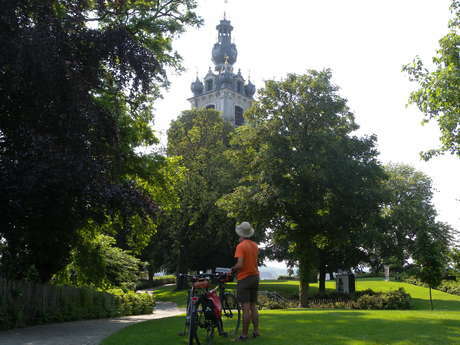 Back in 1810, in the small town of Hornu, this man came up with the idea of a perfect city where workers could enjoy a standard of living that was unheard of at that time. He supervised the building of a village with 450 spacious homes with hot water and a garden. After this, a school, a library, a dance hall, shops and a dispensary were built. Henri De Gorge spent his whole life innovating. He invented new mining techniques himself, and worked with steam-powered machines at the cutting edge of modernity. Forgotten about when the coalmine was closed in 1954, the site was given a second lease of life in the 1990s. From the square courtyard that used to house the stables and the huge egg-shaped courtyard where the engineers lived to the engine room, they are all still there, ready to tell their story. But this is not a mining museum. In keeping with its founder’s vision, the Grand-Hornu quickly turned towards the future. Since the early 1990s, it has been home to Grand-Hornu Images, a museum that puts on exhibitions focusing on design and the applied arts. While showcasing design back then might have seemed trailblazing, or even slightly mad, Grand-Hornu Images has become a benchmark in this field in Europe. In perpetual movement, the former engineering building restored by the architect Pierre Hebbelinck also houses the collections belonging to the MAC's, the Wallonia-Brussels Federation’s museum of contemporary art. The site, poetry and memory are the three founding themes of the MAC's, which is home to some 300 works by 150 Belgian and international artists. The idea behind this museum is not to showcase the masterpieces of the grand masters of contemporary art, but rather to look at current trends, maintaining a close connection with the site itself.